Get the digestive juices flowing, relieves occasional indigestion and prevents nausea associated with motion. 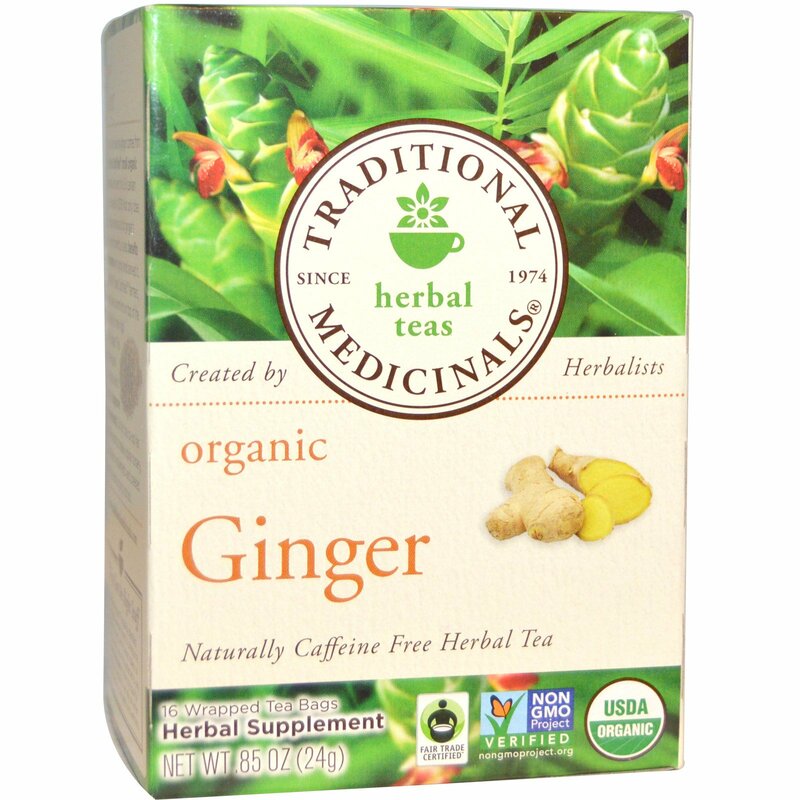 While ginger certainly has reputation for being spicy, this organic ginger tea is a bit milder than you might expect, with a nice pungency and a bit ginger's sweet undertones. Used in China for at least two thousand years as a digestive aid, as well as to relieve nausea, most cultures around the world have acquired fond feeling for ginger- both for its taste and for its soothing properties. We love this warming, spicy tea as a before or after meal treat, and for its ability to promote happy and healthy digestion. Some of our favorite ginger comes from Fair Trade Certified small organic farms that are part of a Sri Lankan co-op formed in 2009. Not only does this ginger provide all of ginger's well-known benefits, it also benefits the farmers who grow and harvest it. 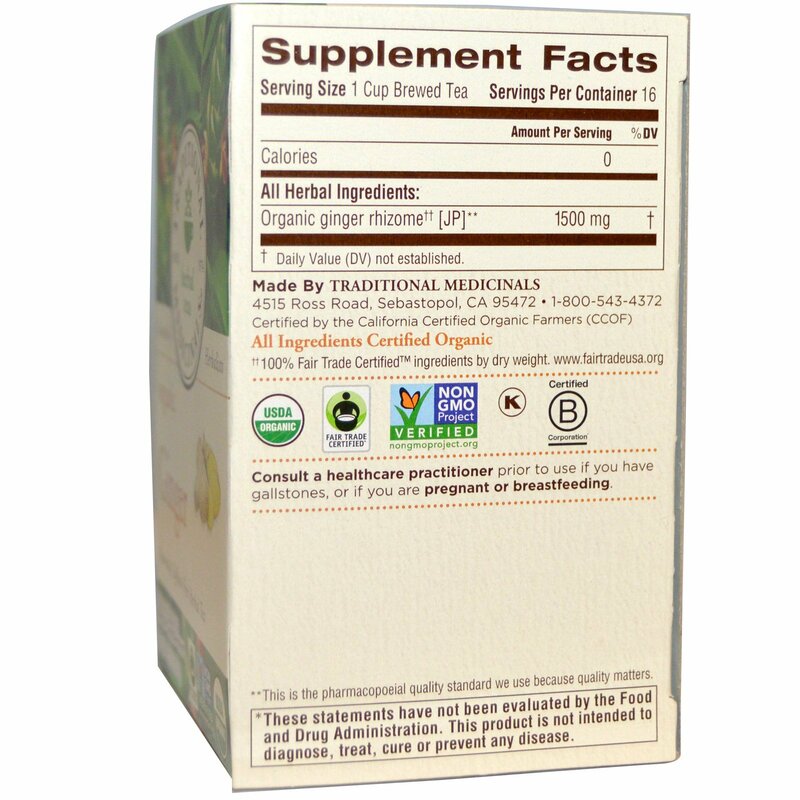 Like all Fair Trade Certified farmers, they receive a premium on top of the price paid for their high quality ginger. This premium goes into a fun which is used to improve the community. So far, the co-op has used the funds to create a spice nursery, provide farm implements and created grant for kids to go to school. We raise the bar. The quality standard of the herbs we use is hard to pronounce, difficult to meet, and it's what makes us different, better. We're no ashamed to say it. Pharmacopoeial: its' the only quality standard our herbalists can rely on when blending teas for your health and wellness. Consult a healthcare practitioner prior to use if you have gallstones, or if you are pregnant or breastfeeding. †† 100% Fair Trade Certified ingredients by dry weight. ** This is the pharmacopoeial quality standard we use because quality matters.